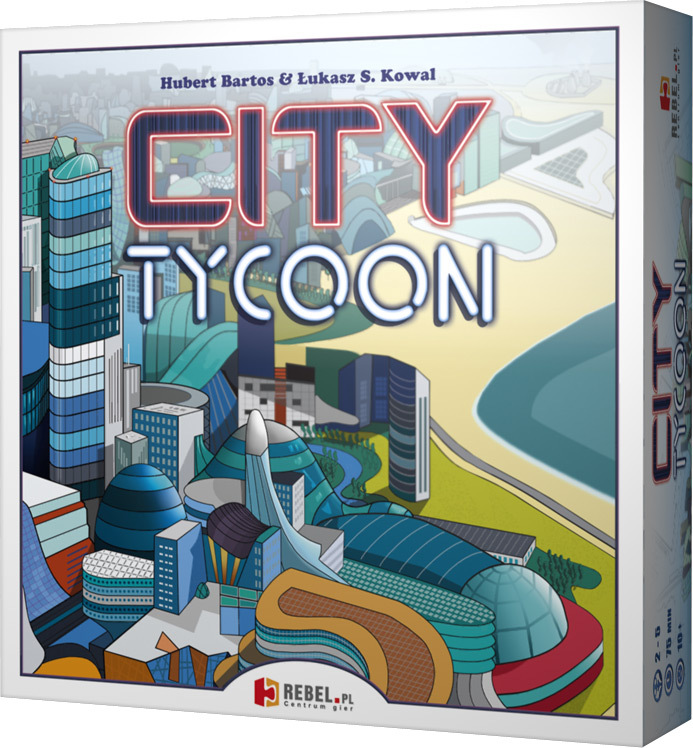 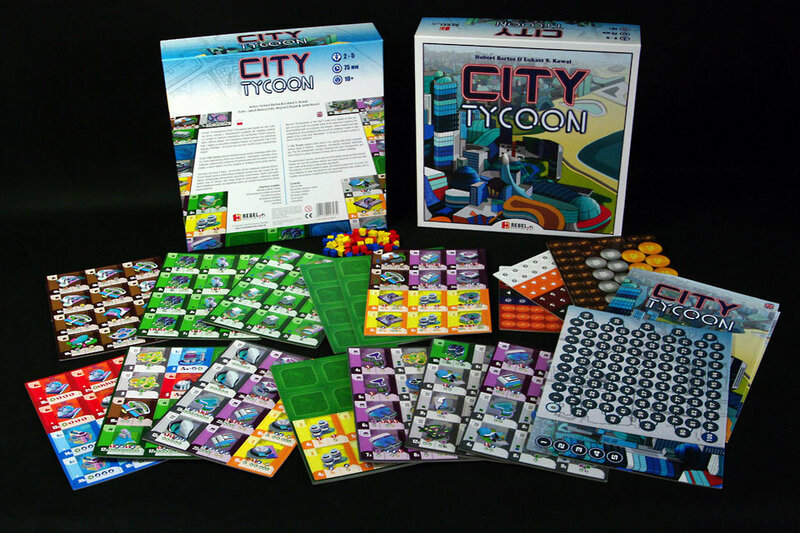 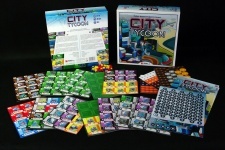 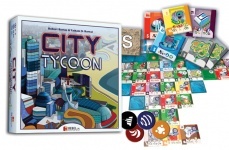 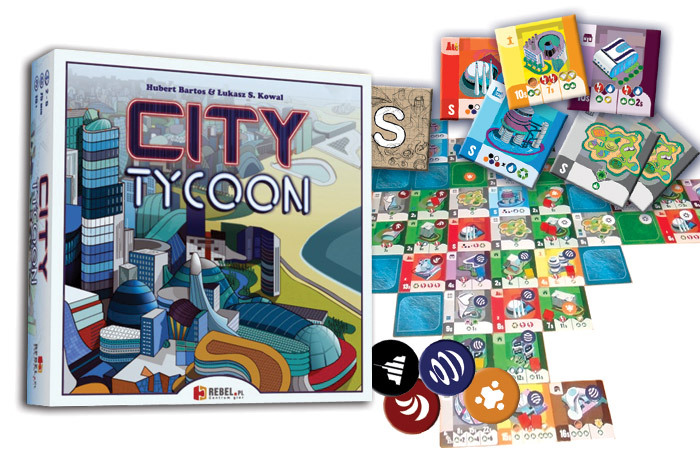 Game play in City Tycoon passes through four stages, and in each of them the buildings get larger and more impressive while at the same time requiring more resources and giving better benefits. 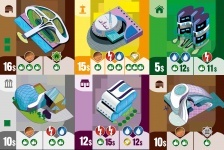 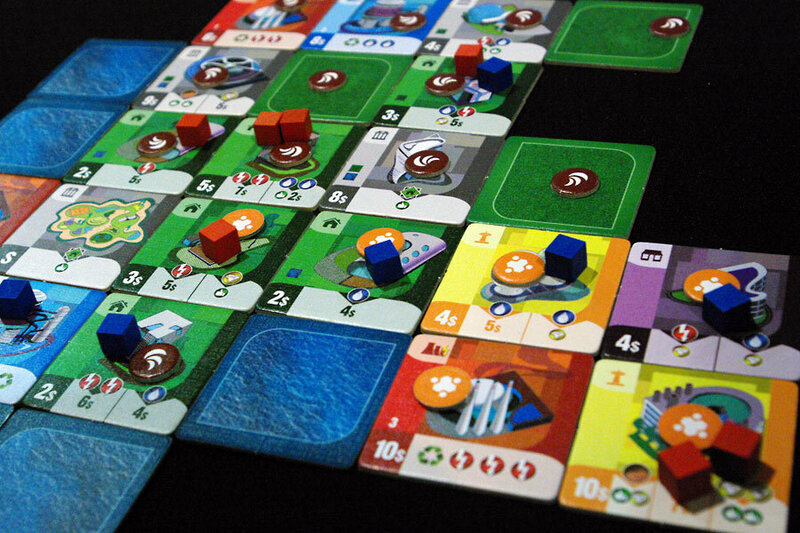 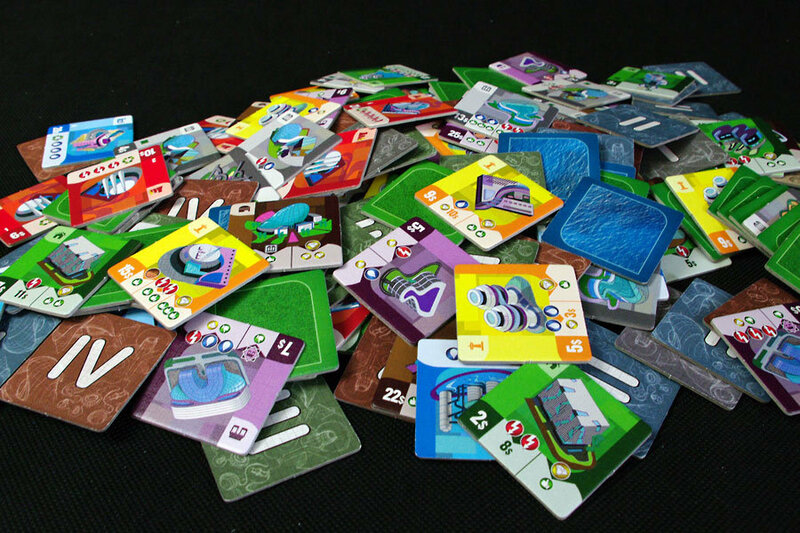 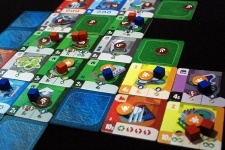 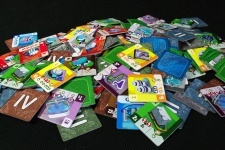 Players quickly notice the relations between them and may choose several possible strategies to develop their investments, for example, focusing on making money, constructing scoring buildings to the exclusion of all else. 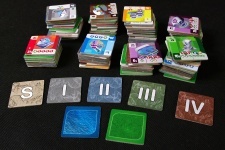 Each of these strategies has its plusses and minuses, and the actions of other players might force you in new directions.